Carina Lau Ka Ling and Simon Yam Tat Wa worked together again on the Lunar New Year comedy A BEAUTIFUL MOMENT (NGOR DIK CHING DIK NUI SAI). Ka Ling said that she did not excel in comedy, but she did not ask her husband Tony Leung Chiu Wai for advice. She joked, "I don't need to, I am very professional. Actually my acting is better than his, only everyone has neglected me." The film was Patrick Kong (Yip Lim Sum) directed. Working with Ka Ling for the first time, he described the feeling was very pleasant. However Ka Ling felt that she was not suitable for the director's films because he has always made twenty something young people romance. Yip Lim Sum said that the audience would grow up. When the script came out he already had Sister Ka Ling in mind for the character. He also moved her to take the role with a love letter. In the film Ka Ling played Yam Tat Wa's ex. 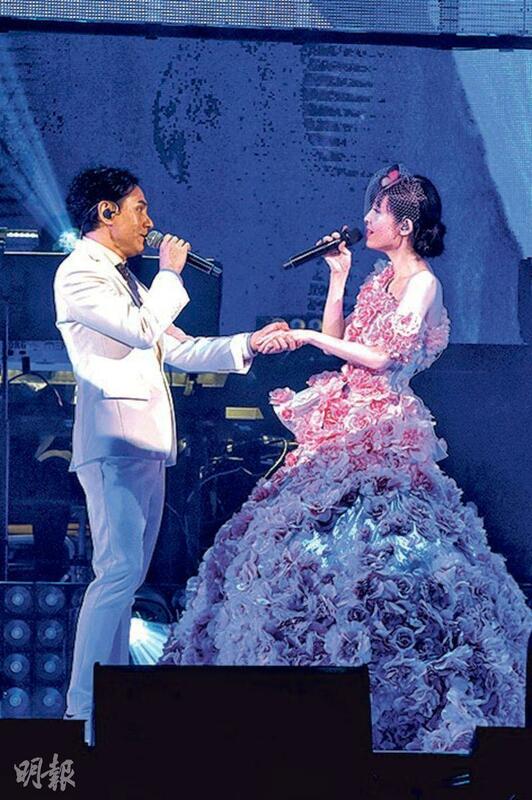 Years after their breakup, Ka Ling fell for her daughter Michelle Wai Sze Nga. Ka Ling said that she did not mind playing a mother. "At my age having a daughter in her 20's would be very reasonable, I just didn't have one. In addition the story was very attractive to me. It would happen in the modern world, Ma's former lover would fall for his ex's daughter." If it happened in real life, how would she handle it? Ka Ling said, "It would be rather shocking, but I would keep my daughter's emotions in mind. If my daughter really likes him and is happy, Ma didn't work with the man, maybe the daughter would work with him? At my age I can accept anything." Since the rival was her daughter, would her heart not break? Ka Ling felt that if she had a romantic rival she would rather it would be her daughter. "What is there to be heartbroken about? The daughter has to be in a great relationship with the guy, and the guy is well maintained. If he is a mess, I of course wouldn't let my daughter be with him. I would tell what happened with me and the guy to my daughter, maybe I was the one in the wrong before." Ka Ling felt that when a couple broke up, both sides had problems. However girls nowadays would mostly yell at guys and not examine themselves. 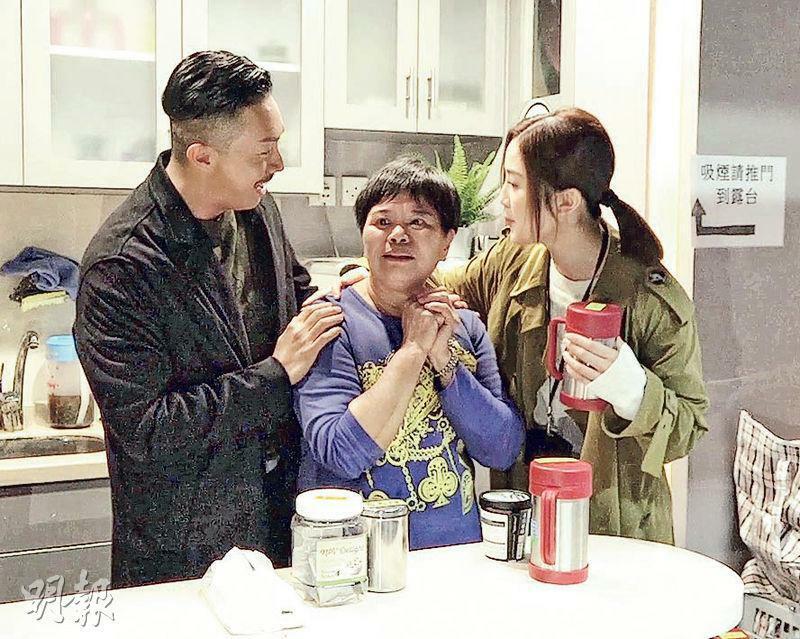 Aside from Lau Ka Ling and Yam Tat Wa, the director also invited 80 film stars like Patrick Tse Yin, Nancy Sit Ka Yin, Ivana Wong Yuen Chi, Bob Lam Sing Bun, Philip Keung Ho Man and Louisa Mak Ming Sze to guest star. Ka Ling said that she was the happiest to be able to see former TVB colleagues she has not seen in years. Yip Lim Sum said, "This time I called in all the favors. I am the happiest to be able to invite MC Jin, who is so popular in the Mainland that he has a show everyday. The biggest favor of course is Sister Ka Ling." Already publicly recognized for her good acting, Ka Ling admitted that comedy to her actually was very hard. In addition she had a generation gap with the younger generation. "Wong Yuen Chi and I have a generation gap. I don't really know what is so funny about what they say. Sometimes I don't follow. Bob, Hak Jai and Sei Gor are all very funny. Sei Gor on the set is funnier than his character, he has the guts to do anything." Ka Ling realized that playing a comedy actually was very joyous and finally understood why Wai Jai would like to play comedy. However sh never though about working as a couple on a comedy. She said, "If we play a comedy together it would become a tragedy because we would start fighting. He probably would hit me. He definitely would mind me. He wouldn't have to say anything, his expression already tells me that he minds." Did she ask Wai Jai for comedy advice? Ka Ling said without hesitation, "No need, I am very professional." How did working with Brother Wa after so many years feel like? She said, "He is older.....I am joking, he is more and more charming. (Brother Wa said that he was under your spell on the set?) He is really smooth, he must have hypnotized himself and say that I am very pretty and very hot." She joked that if in real life she had a son in law like Brother Wa it would be great, because he would buy a home for his wife everywhere in the world. He truly could not be topped. It was not a question of worth, but his thoughtfulness and willingness to give. Wai Sze Nga revealed that when she heard Brother Wa's call to his wife he was very sweet. He also did not like to drink, which would be what she would look for in a boyfriend. Speaking of working with Sister Ka Ling, Sze Nga said that it was like a dream. "Sister Ka Ling really is very pretty. If Ma is that pretty it would be great, and I would have a goal to keep myself better in the future. However I haven't had the time to ask Sister Ka Ling about how to be so well maintained. I learned the importance of maintaining myself from working with Sister Ka Ling." Dayo Wong Tze Wah and Charmaine Sheh Sze Man in the Lunar New Year film AGENT MR. CHAN (DUNG DUK DUT GUN)G had a drunk wedding scene. 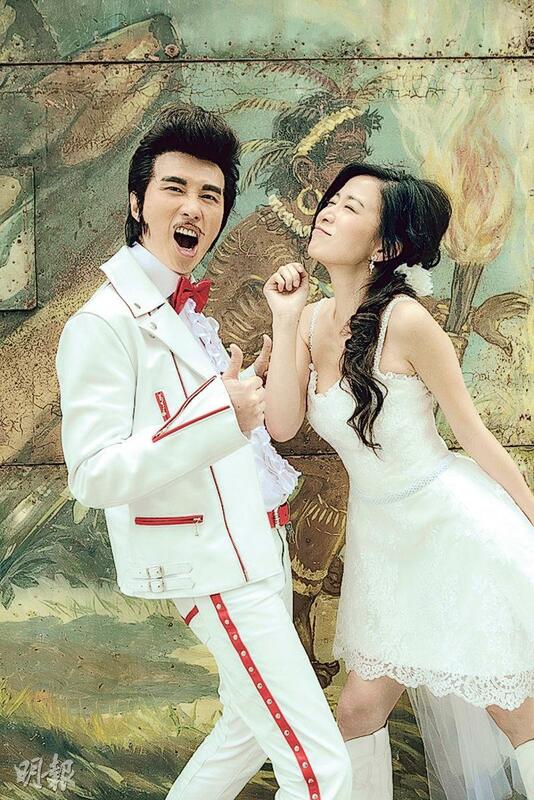 Mr. Chan looked like Elvis and had an outdoors wedding with "Virgin" Sheh Sze Man. "Chan's assistant" C Kwan, family and friends were invited. With dancing and a carousel, everyone drank and had a lot of fun. However everything was a mirage, as the wedding was only a smoke screen for a mission; Tze Wa broke off the engagement and Ah Sheh turned love into hate as she wanted to torture himself at every turn. In the film Ah Sheh saw Tze Wah as a major criminal. "He jaywalked 263 times, illegally parked 516 times, 672 counts of public indecency, and countless littering!" She hated this man so much that every time she saw him she would slap him. Tze Wah and Ah she appeared on a Fantastic TV program. Ah Sheh played a security bureau chief who spends all of her life and power to abuse and capture Tze Wah. Tze Wah joked that he was box office poison, guest stars saved him and brought him back to life. They did not have any kiss scene in the film. Tze Wah joked that if the audience demanded it he would gladly shoot it. The Hong Kong Film Award Association yesterday announced that for the 37th Hong Kong Film Award presentation ceremony that will take place on April 15th at the Cultural Center will have Charlene Choi Cheuk Yin and Louis Cheung Kai Chung as its hosts. Yesterday they visited this year's "Professional Spirit Award" winner, catering's Pauline Yeung Yung Lin at work and congratulated Sister Lin on the important honor in advance. Ah Chung has decent hosting experience, Ah Sa however would be making her debut. What kind of chemistry would they have on the day of the ceremony? We shall see how much preparation the duo will make. The film MONSTER HUNT 2 yesterday held a Beijing press conference. 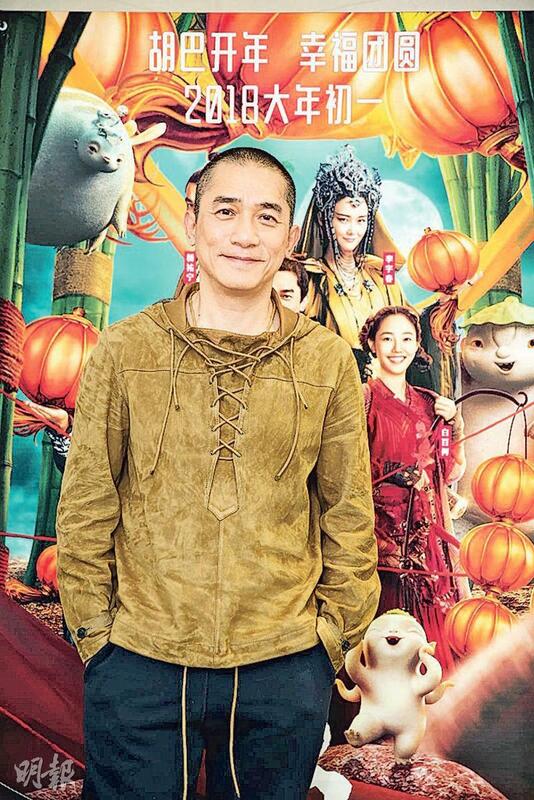 Star Tony Leung Chiu Wai stated that acting with computer generated characters was difficult. Sandra Ng Kwan Yu was also on hand to pump up the crowd. 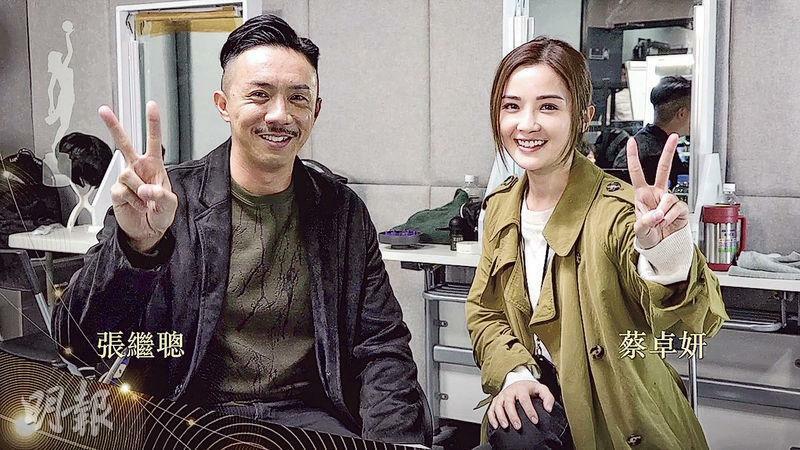 Kwan Yu said that she already forgot the last time she and Wai Jai attended an event together. "Today I even heard him talk about his Lunar New Year plans, it can't be any rarer." Wai Jai felt that Wuba and the monster world were a lot of fun, so he very gladly played the gambler role. However when he worked in person he realized how difficult acting with a computer generated characters. He explained, "Because it was acting with air." In the film not only the little monster king Wuba loved Wai Jai, the new monster Dum Dum also had a lot of scenes with Wai Jai. "Although Dum Dum and I are picking on each other, actually we love each other." Wai Jai and Kwan Yu talked about their Lunar New Year plans. 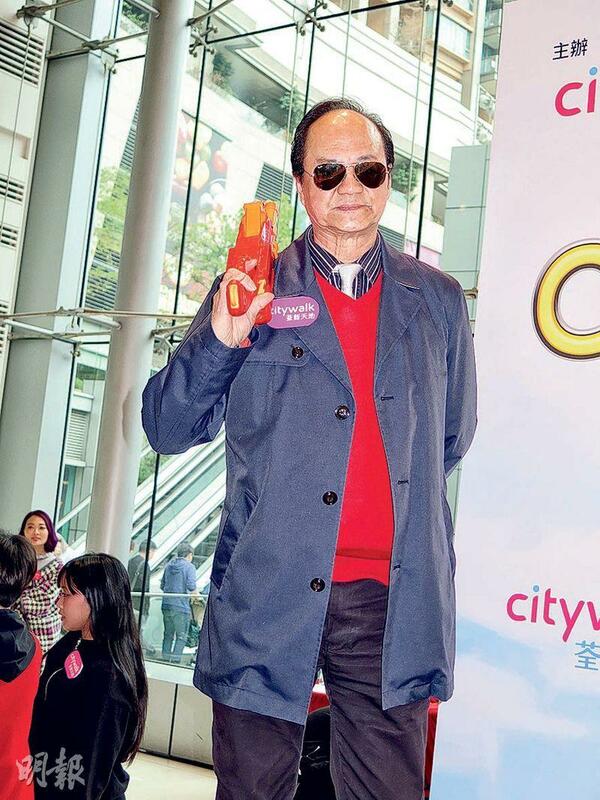 Wai Jai said that he will spend it this year in Hong Kong. "I will pay Lunar New Year visits to friends, but I won't play mahjong." As for Lunar New Year food, Wai Jai liked them all. Anything mango flavored would be just right for his appetite. The Johnson Lee directed and starred Lunar New Year film STAYCATION (YUT GA DAI SAI) gathered many show business elites. Aside from Big Brother Ti Lung's unprecedented comedic performance, another bright spot would be "Brother Chan" Liu Wai Hung, who has been away from the big screen for years. Brother Chan was moved to return to comedy after 17 years not because of salary but because of director Johnson Lee's 200% sincerity. Brother Chan said, "Actually when Johnson handed me the script to go over, I didn't want to make it because I really didn't have the time. I didn't want to be distracted from my agricultural work. Later Johnson came to find him on my Guangzhou farm. He was fully sincerely. I couldn't turn him down even if I wanted to, but I stated in advanced that I only had one day to help with the production." As for the salary, Brother Chan admitted that he would have worked for a buck. "We haven't talked about money yet. The fact is I am not relying on show business to make a living now, how much it is it's not important. It could be a buck, it could be nothing. It's just for fun for me so it doesn't matter." Since Brother Chan offered a helping hand, Johnson Lee of course did the right thing. He not only made Brother Chan his boss but also had several bikini clad beauties in the office with him. The film STAYCATION (YUT GA DAI SAI) yesterday held an event. Director and actor Johnson Lee attended with Tommy Tam (Ti Lung), Louisa So Yuk Wa, Andrew Lam Man Chung and others. On the stage Brother Lung said LOVE IN DEEP AUTUMN and CHOR LAU HEUNG. Then a shooting contest took place. Brother Lung who has not been a boss for a long time demonstrated his shooting skills with a toy gun. Troublemaker Lam Man Chung turned Johnson Lee into a target and shot him in the nether regions. Finally Ah Chung and Johnson were punished and had to have their faces painted. However Ah Chung continued to cause trouble as he chased So Yuk Wa to draw on her. He drew all over Ah So's face after catching her. The actors gave away film posters near the end of the event. Brother Lung gave the audience Zhuge Liang's ADMONITION TO HIS SON in hopes of inspiring everyone. Speaking of Brother Lung's singing, he joked that he has never picked up a microphone and sang in front of everyone. However after meeting Johnson he was affected and had positive interaction that was filled of joy. As for Brother Lung giving away Zhuge Liang's ADMONITION TO HIS SON to the audience, he said that he had to thank the late Sir Run Run Shaw (Siu Yat Fu) and Mona Fong Yat Wa for taking him to the Mainland to see education in the nation. Zhuge Liang's ADMONITION TO HIS SON was an university requirement. Because the film also talked about this, yesterday he gave it to everyone in hopes of inspiring everyone to learn to shape up, straighten out the family and be kind. Johnson said that when he first met Brother Lung he already knew that hew as more than a hero, he was also very mischievous and fun. He learned a lot from him and also put his playful side on the silver screen. Brother Lung said, "I too progress with the times!" Would he ask Brother Lung to be a guest at the Fantastic Trio concert? Brother Lung said that he too hoped to be able to show his support. Johnson said that he was lucky to be able to work with an elder. Brother Lun mentioned that another elder Law Kar Ying was just as mischievous in his effort. Johnson admitted that he would like to make a sequel. 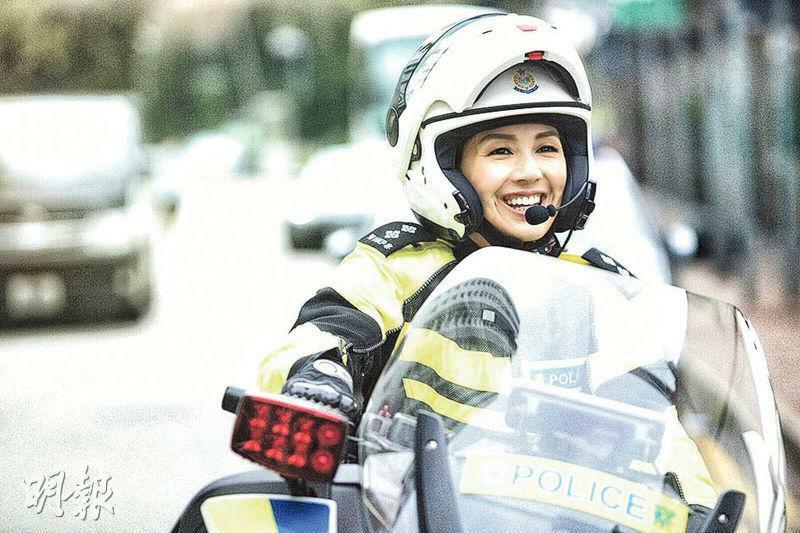 Was So Yuk Wa upset that Ah Chung messed up her face? Ah So joked that of course she was upset. Ah Chung still said, "I just added contour to her face, which was puffy!" Ah So slapped him in response. "He is too naughty, so on the set I would avoid him!" Ah Chung even had fun with Brother Lung, the only one he did not dare to mess with was Lung Soh. He said, "Brother Lung only looked the part, Lung Soh had more majestic than him. Brother Lung and I really got along though, and we had a lot of fun. Lung Soh and I also have many connections, we even ran into each other on the streets several times!" Speaking of Brother Lung's gift of ADMONITION TO HIS SON, Ah Chung should probably take a look. Ah Chung answered, "I read HOW TO PICK UP GIRLS, and I read it all the time because it would have many new tricks!" Dayo Wong Tze Wah and Charmaine Sheh Sze Man starred in the Lunar New Year film AGENT MR. CHAN (DUNG DUK DUT GUNG), which will open on February 15th. The Valentine's Day advanced screenings have already been sold out, as shows increased from 21 to 35. 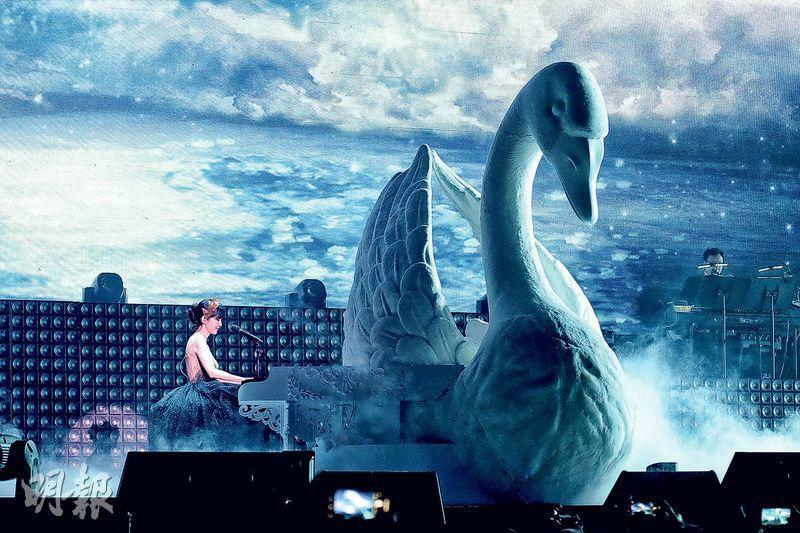 Yesterday the AGENT MR. CHAN theme song FINAL CALLING music video premiered, with Joyce Cheng Yun Yi performing and featuring Wong Tze Wah. The song had a 007 feel, with Tze Wah singing, "Dumdumdumdum dumdumdum......". AGENT MR. Chan's guest stars appeared in the music video, Miriam Yeung Chin Wa, Sammi Cheng Sau Man, Sandra Ng Kwan Yu, Michael Hui Koon Man, Alan Tam Wing Lun, Julian Cheung Chi Lam, Ronald Cheng Chung Kei, Ada Choi Siu Fun, the Grasshoppers as well as the mystery ones who have not appeared.